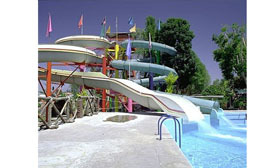 The Hidalgo Water Park Corridor or Corridor de los Balnearios as it is known locally is a list of the major water parks, spas, natural pools and thermal springs in Hidalgo. An often overlooked fact is that Hidalgo ranks second in Mexico for it’s numerous of thermal springs. 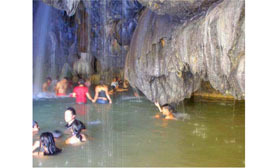 The springs are very popular and have an average temperature of 38C but some reach as high as 80C and cannot be entered. The springs exist because of the rivers of magma that flow under the surface. Main municipalities under this category of Hidalgo Water Park Corridor include Ixmiquilpan, Cardonal and Actopan.